Take the bread, trim the sides by removing crusts.Scramble the bread. Heat ghee in a pan, add scramled bread, fry until light brown. Add milk & allow to cook. Add sugar ,cardamom powder & mix well. Dry roast few almonds & grind to a fine powder & mix through the halwa. Add balance ghee & saffron & Food colour & mix well. Heat ghee in a little pan, add cashewnuts & roast it & add to the halwa. Mix through well & remove from heat. That looks so quick and yum! Very new recipe. Sounds simple too. Looks delicious! 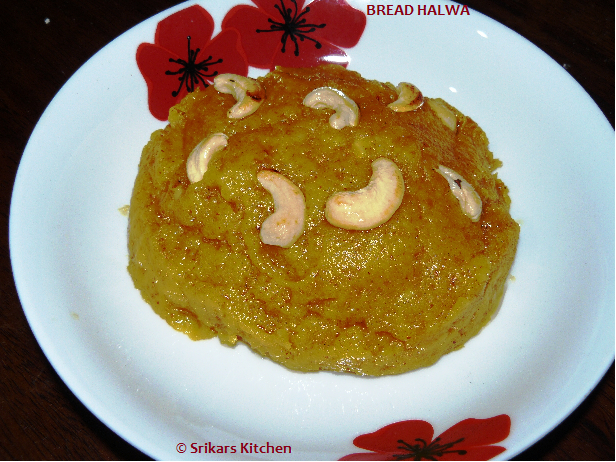 wow u gave a totally different shape to the halwa srikar!! Halwa looks yummy . You have a lot of cool recipes. 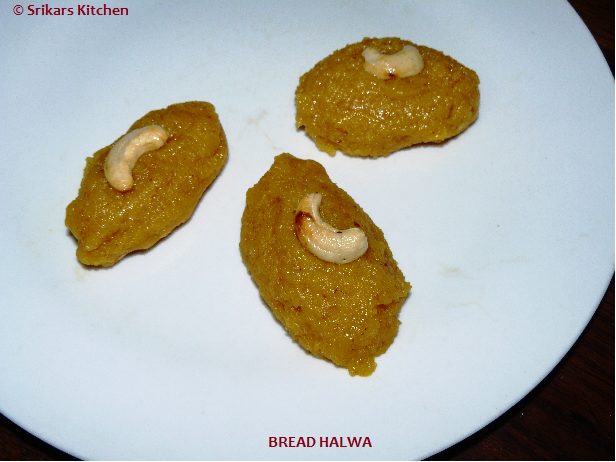 I made the bread halwa and it came out well, and its too good. Thanks for the recipe. I made one change to it where i corsely grinded the bread along with its crumbs in the mixie. 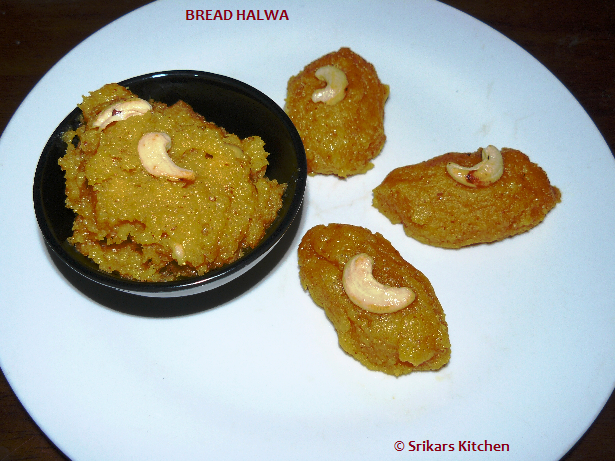 I tried your recipe for bread halwa, it was really excellent recipe... Thanks a lot for posting.